February 15, 2018 (Last Updated: March 9, 2019) - As an Amazon Associate I earn from qualifying purchases. This spirit is known to make sane men mad and madmen do unspeakable things. Sometimes known as “the green fairy” or the “green monster”, absinthe has a devilish reputation, but is it deserved? Such famous artists as Picasso and Oscar Wilde drank it. Did the spirit add to their artistry? Is absinthe even special at all? Today, we are going to explore these questions. Starting off with the obvious, we should define what absinthe is. Absinthe is an alcohol that usually, but not always, green in color and has a strong anise flavor along with other botanicals. It is between 45% and 74% alcohol, so it is not the most delicate of flavors. While many alcohols have legal definitions throughout the world, absinthe is not very well defined by governments. One chemical in absinthe, thujone, however, tends to be widely regulated, as at high levels it is toxic. We will cover this a bit more in depth. It was interesting to learn that absinthe seems like a distant cousin to gin, which we previously wrote about. Similar to gin, there are two methods of distillation. First, there is cold mixed absinthe. This is where a producer would take a neutral alcohol, such as vodka, and add the botanicals to soak directly into the spirit. 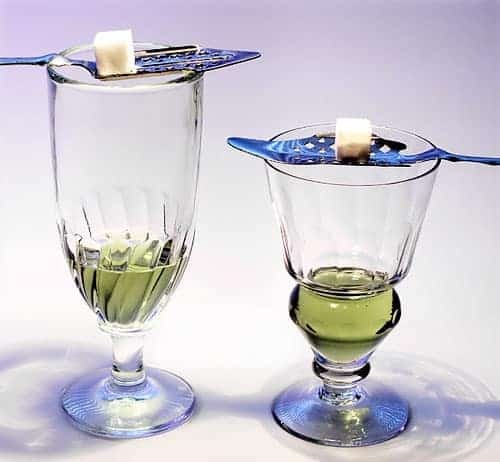 While I am sure that some great absinthe can be made this way, it does open all sorts of potential problems and quality issues. Think bathtub gin, but for absinthe. Then, there is a double distillation, which is regarded as the superior method. Many of the botanicals and chemicals are added as part of the distillation process. The primary distillation may produce a neutral alcohol, but then all of the bits and pieces that make an absinthe are added. The neutral spirit gains the flavor of all the additives and then it is distilled again. Once distilled a second time, it then goes through a secondary maceration. What is a secondary maceration? Mostly a fancy word for a big tea bag. The finishing herbs are soaked in the twice distilled absinthe. Prior to the secondary maceration, the alcohol is white. Finally, after this soak, we have our absinthe. Plants make absinthe green. The chlorophyll from the secondary maceration imparts to the spirit, giving absinthe the green color that it is known for. According to an unreliable source on Wikipedia(yes I just did that), the chlorophyll remains an active chemical and is critical to the aging process of absinthe. Much like tannins in wine, the chlorophyll can impact the aging process and flavors of absinthe. Does Absinthe Make People Crazy? No. There is, however, a discussion to be had in this area. A defining characteristic of absinthe is wormwood. Wormwood contains thujone. Thujone does have toxic properties if consumed in large quantities. So, if you drink down a bottle of thujone, you might go crazy and die. If, however, you drink absinthe from the alcohol store, the amount of thujone is nowhere near the lethal levels needed to make a person have problems. In fact, you will die from alcohol poisoning far before you die from wormwood or thujone. The US does have regulations on the amount of thujone that can be present, so worry not, budding green fairy aficionado. I do think it is important to talk about bathtub gin and how it could relate to absinthe and some of the stories regarding absinthe. Gin craze was a thing. Most of it was bogus, but people made compound gin with TURPENTINE! 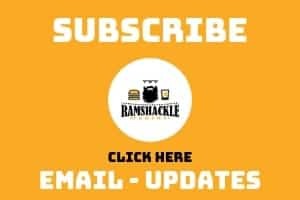 We had mentioned some similarities between gin and absinthe in this post, and the ability to make a home version of absinthe is one of those similarities. A person could take a bottle of vodka and turn it into absinthe. In this regard, a home brewer of absinthe could make it irresponsibly. I mean, if they add turpentine to it, I wouldn’t want to drink it. The levels of turpentine (aka ANY turpentine) or thujone might be unsafe. Once again, no, absinthe does not make you crazy. If someone ladles you up a glass of absinthe from their bathtub, however, you might want to question many things, including your life decisions. So, wormwood got off to a good start, right? Throughout history, wormwood was used in a medicinal capacity. The story goes that in 1792, a French doctor named Pierre Ordinaire, created absinthe. Like the history of many alcohols, it has a history of medicine. Ordinaire created the spirit as a remedy for his patients. Well, apparently, people liked it. Throughout the 1800s, absinthe rose in favor among the public. Pernod Fils, the most popular absinthe producer, made up to 30,000 liters per day at it’s peak. But not all was perfect in the world of absinthe! The public started condemning absinthe because of the stereotypes that are still common today. It doesn’t make you crazy and it doesn’t make you see things, but that was the perception of the time. I mean, perhaps people did odd things while drinking absinthe because it was a really strong alcohol? Being drunk can do that to people, on occasion. Additionally, the bohemian and art culture embraced the spirit. Absinthe became a staple among artists like Van Gogh, Picasso, and the French painter, Degas. 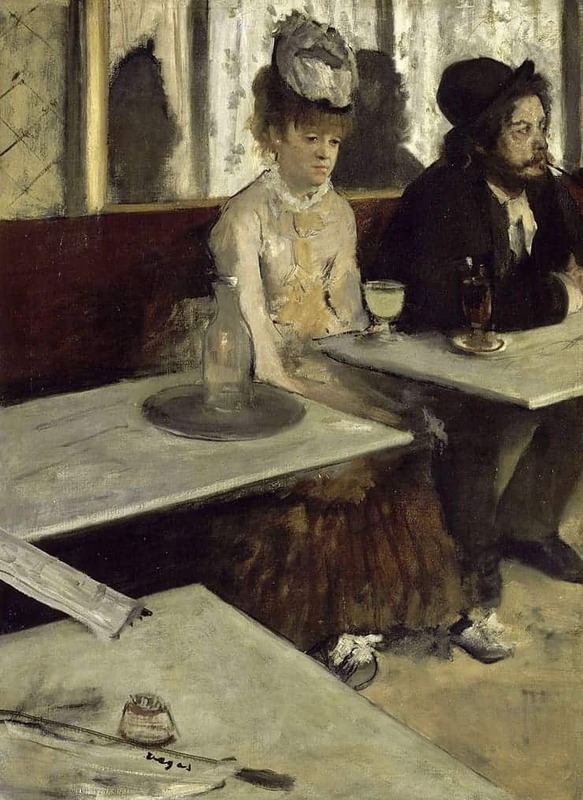 Degas’ painting, L’Absinthe, may be one of his most famous. Detractors pointed to the defeated look on the woman’s face as an effect of absinthe. Finally, Jean Lanfrey and the absinthe murders. The man had two glasses of absinthe and proceeded to murder his entire family. This made the case for the evils of absinthe around the globe. Nevermind the seven glasses of wine, six cognacs, a brandy coffee, and two creme de menthes he had before the two glasses of absinthe. All of the other alcohol certainly had nothing to do with this terrible case of extreme domestic violence. Can you read the sarcasm in that sentence, because it was there? And so, laws started passing and absinthe quickly became an illegal spirit in many countries, including the USA in 1912. Even after prohibition was repealed, laws remained in place. 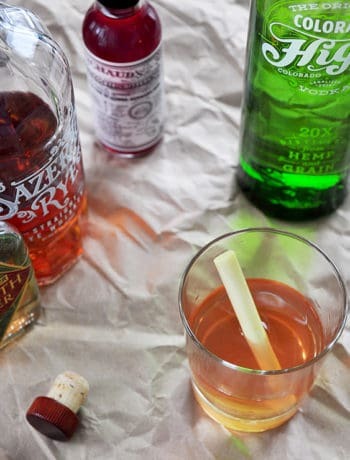 Alternatives, such as Herbsaint , were created to replace absinthe in some drinks like the Sazerac. In the early 2000s, people came to their senses and deregulation of absinthe occurred in many countries. In 2007, the United States followed suit. And now, we can all enjoy absinthe. 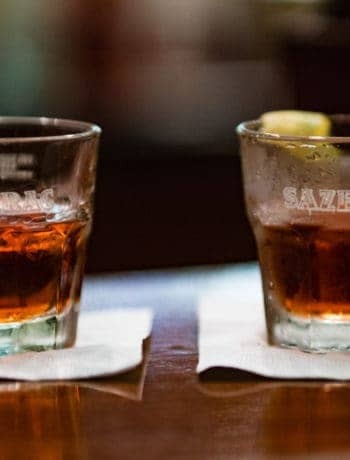 Like any spirit, if you drink in moderation, it can be a great libation and allows for great cocktails such as the Sazerac. So, fear not, general public! You, too, can enjoy the magic and mystery of the Green Fairy. 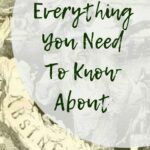 Hey, if you enjoyed this article and would like to hear some more from me, sign up to get my posts via email and follow me on Pinterest! I suppose they were embarrassed when they outlawed absinthe and murder rates remained constant. I love absinthe, and I will probably never murder anyone. Probably. I also like the whole ritual that goes with it. It’s the perfect thing to drink on a balmy summer’s night in an open courtyard – and if you were lucky enough to share a table with a couple bohemian artists … what a night!